Motorcycle collisions are some of the most costly and perilous of all motor vehicle accidents. To ensure that the expenses surrounding your injury are covered, get help from a Springville motorcycle crash lawyer. All drivers have an obligation to practice safe driving so the lives of others aren’t threatened. Unfortunately, many drivers do not have respect for motorcycles and think that, no matter what, the motorcycle must yield to the motor vehicle. This mindset often leads to critical motorcyclist injuries. If you’ve been injured in a motorcycle crash, you could benefit from the assistance of an attorney with Craig Swapp & Associates. Holding a negligent person accountable for his or her actions is never easy. On top of that, you’re dealing with a difficult recovery process. A Springville motorcycle accident lawyer will relieve the strain by handling the complexities of the personal injury claim process for you. You may not realize it yet, but the insurance company isn’t on your side. This becomes even more apparent for motorcycle riders. There is a well-known and unfair stereotype about motorcyclists. Many people have the opinion that they are reckless, lawless motorists who weave through traffic to “rule” the road. The number of motorcyclists who actually embody these characteristics is incredibly small. Although these stereotypes are more often seen in movies than on the highways, insurance companies are notorious for using them to raise your premiums and make low compensation offers. Not only do you have this biker stigma working against you with your insurer, but in Utah, we also measure injury liability based on a concept called modified comparative negligence. This essentially means that, if the person who caused your crash can place the blame completely on you, he or she won’t be responsible for compensating you. Luckily, you don’t have to battle the insurance company and negligent drivers alone. A Springville motorcycle wreck lawyer will have the ability to fight back and make sure your claim is resolved fairly. When your motorcycle accident is caused by the poor driving of another person, you should not be held financially accountable. The best way to secure the compensation you are entitled to is to seek the help of a Springville motorcycle crash attorney who will do what it takes to win. Few injuries are as life-threatening as those affecting motorcyclists who have been involved in a crash. 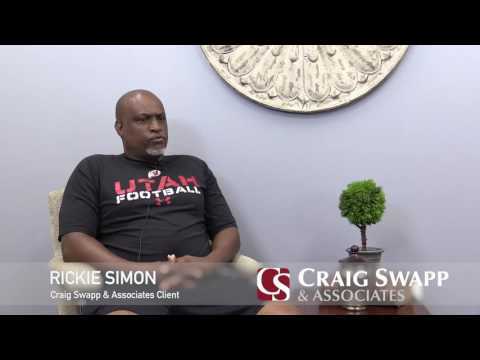 Spend more time on your recovery and less time on litigation by contacting Craig Swapp & Associates. Our team of highly trained attorneys is passionate about defending motorcyclists who have been wronged. To consult with a Springville motorcycle accident lawyer, give us a call at 1-800-404-9000 or fill out the contact form below.